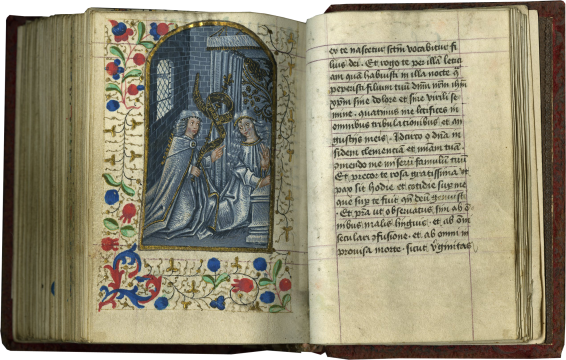 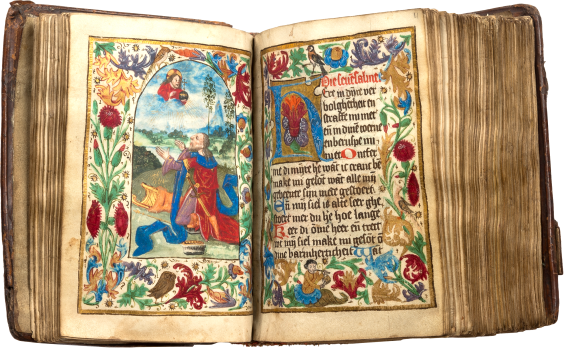 In Dutch, Illuminated manuscript on parchment. 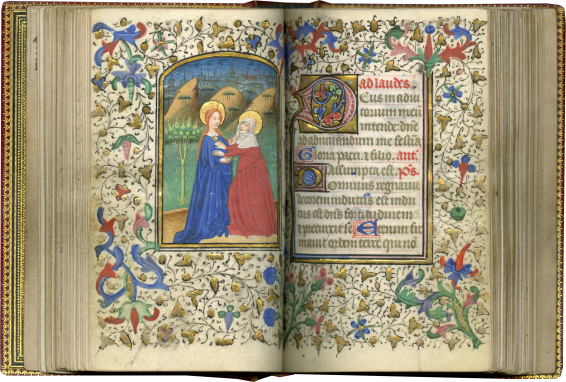 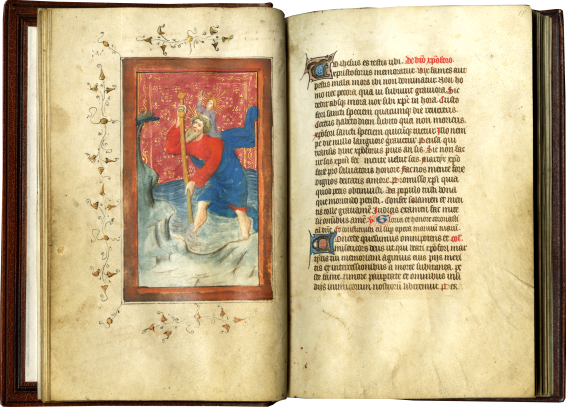 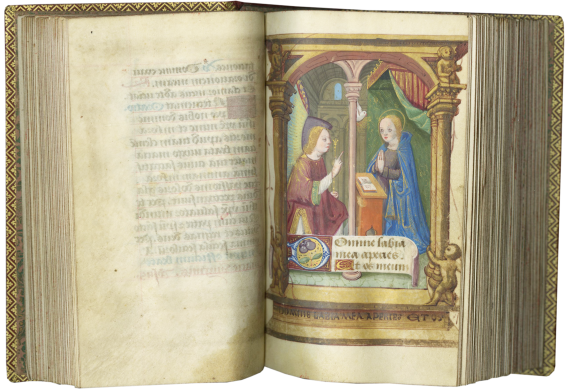 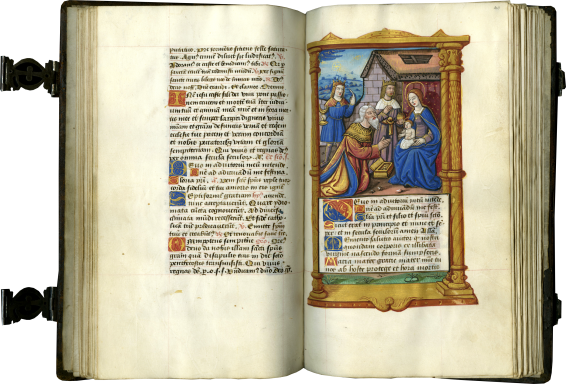 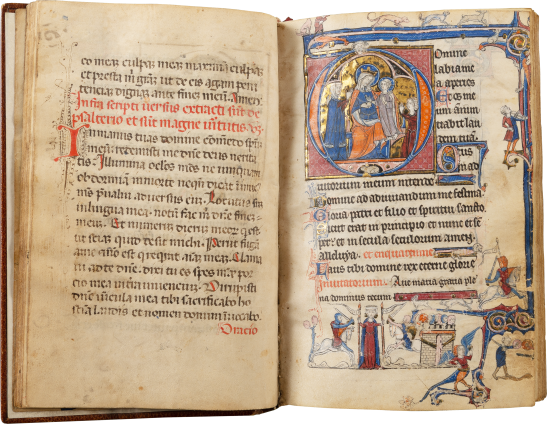 With 7 inserted full-page miniatures by the Assumption Master, with borders and initials by the Monkey Master. 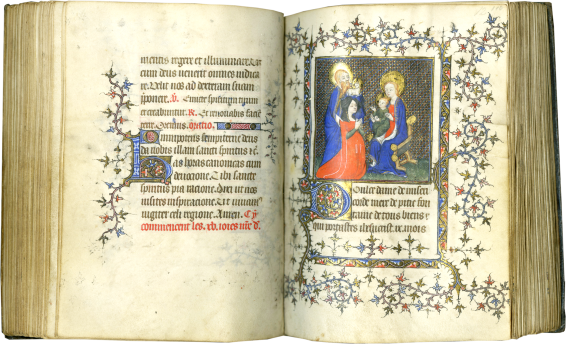 In Latin (with some French), lluminated manuscript on parchment. 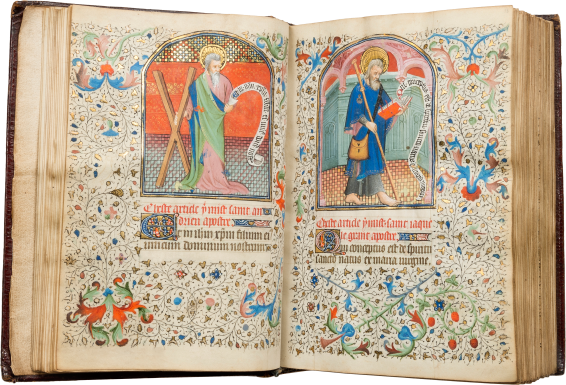 With 34 large semi-grisaille miniatures and 5 small miniatures by the Master of the Grisailles Fleurdelisées; 10 large coloured miniatures by the Master of Johannes Gielemans.